Let’s say you work for a company that makes headphones. 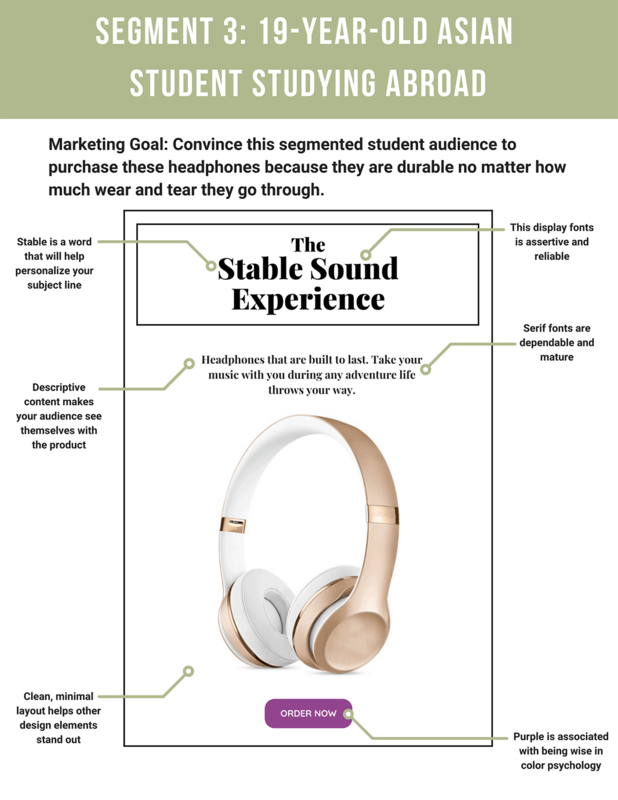 Your company is about to release its newest product, a $150 set of headphones that will have your customers thinking they are true audiophiles. Not only do they sound great, but they also look luxurious, cancel out noise, and are extremely durable. The question then becomes: how should you market the new release? There are two ways you could approach this question. You could either send out a generalized email campaign to your entire audience in the hopes that everyone will be interested in buying your new product or you could send out segmented campaigns to different groups within your audience. In this article, we will explore why segmented campaigns are the better marketing strategy. We will also discuss how you should design your email templates to appropriately target your list segments. List segmentation is described as the division of email subscribers into smaller segments based on a variety of information. 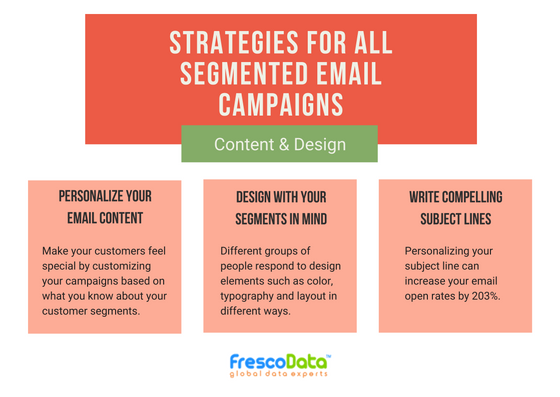 In general, segmentation is used as a way to deliver more personalized email marketing to subscribers. 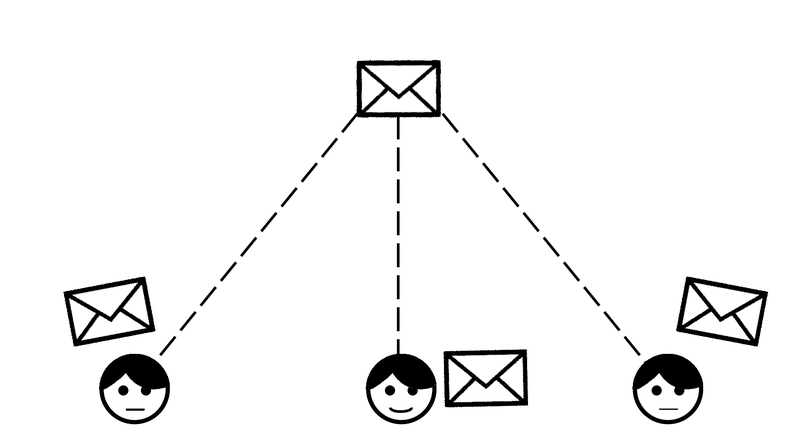 Why should you segment email lists? 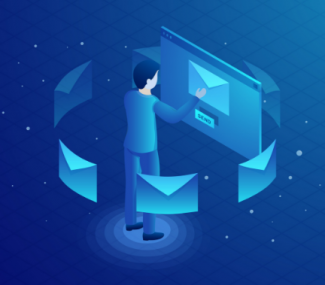 Rather than sending out a mass message to a large email list, segmentation allows marketers to tailor email campaign to specific group interests. Because segmented emails are more unique, it’s more likely that recipients will interact with them. If emails campaigns are segmented correctly, users will receive emails packed with information they actually want. This means higher open rates and click-through rates in campaigns. The data supports this assertion. 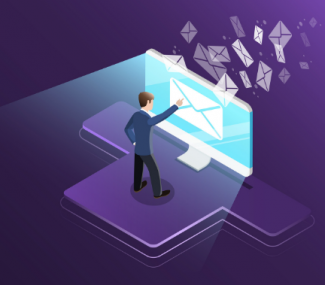 The DMA claims that “77% of email marketing ROI came from segmented, targeted, and triggered campaigns in 2015.” Furthermore, segmented email campaigns have an open rate that is 14.32% higher than non-segmented campaigns. Click-throughs are 100.95% higher in segmented email campaigns than non-segmented campaigns. The main goal of any marketer is to get people to purchase either a service or a product. An optimized data-gathering process should be created to fit your conversion goals. This is how you will achieve effective segmented email marketing. 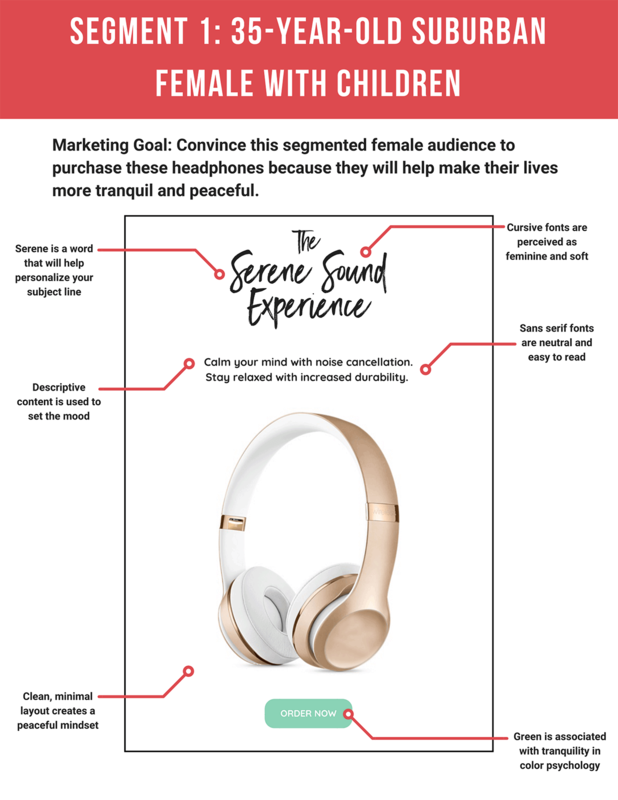 The data you gather from your audience can be anything that identifies them such as age, gender or their favorite type of music. If you currently do not have this information, you can build user profiles over time. How do you segment email lists? 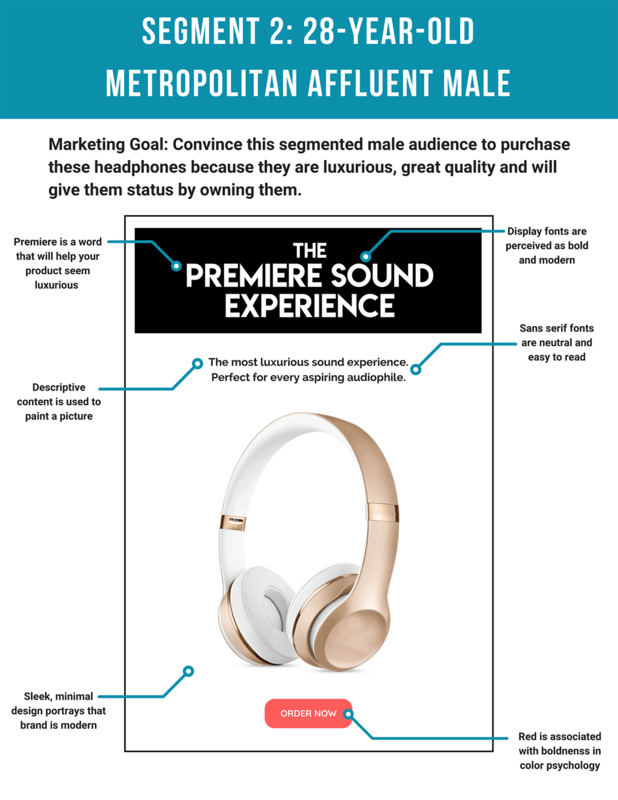 Going back to our example, let’s say the headphone company already has a data collection strategy in place and wants to send out segmented email campaigns about its new product launch. It sounds like a complicated process to implement, but it’s really not. 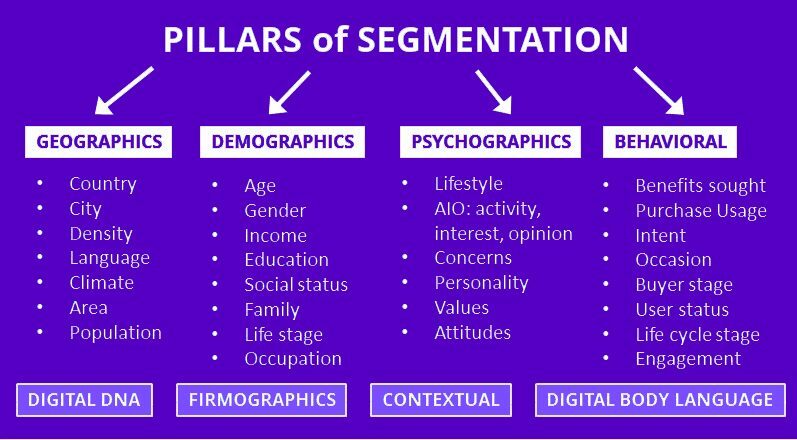 Once a segmentation strategy is put in place it continues to build upon itself, growing in detail as time goes on. User data that corresponds to an email address. Once you have gathered some information about your audience, your next step is to get to know them. 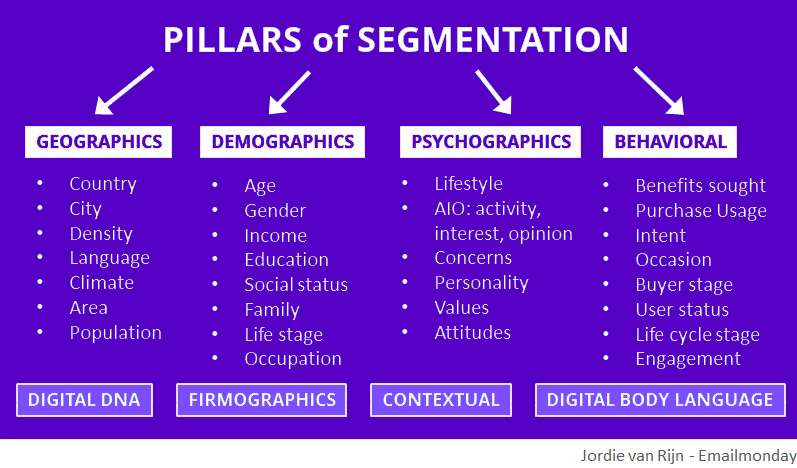 Figuring out who your customers determine what your list segments will be. You decide to go a step further and create customer personas helps determine what messages you should send to your list segments. What demographic information do you know about this customer? What are the paint points for this customer? What do they want to accomplish (and how do I help them accomplish it)? Rachel is a 35-year-old white, suburban housewife. She has two kids and juggles taking care of them along with maintaining a home, a personal life and herself. Her family is relatively well-off, her husband’s income allows her to stay at home with the kids. In her downtime, she likes to relax. She regularly practices yoga, meditates and goes to the spa. Rachel spends a lot of time with her kids, but she appreciates when she can get away from them, even if it’s just in another room. Her idea of a perfect evening is spending it taking a long bath. Anton is a successful, black professional: at 28-year-old he is a senior marketing manager at a Fortune 500 company in Chicago. He makes enough money to enjoy an upscale lifestyle. He like luxury and is willing to pay for it. He likes to make sure that what he buys though is worth the money. He won’t buy something simply because it’s expensive. He commutes to work and spends a lot of his time working. On the weekends Anton likes to play basketball with his friends and go out to eat at nice restaurants. Michael is a 19-year-old Asian student studying abroad in Europe. He is a pre-law student and studying abroad to stand out in his law school applications. Michael is a stellar student who gets straight As. He’s generally on the go, traveling around from one extracurricular activity to the next. Michael spends most of his time studying and frequently does in busy places like college libraries and coffee shops. When he has some free time, he likes to go on long walks and explore the scenery of the country he’s currently visiting. After gathering data about your audience and getting to know them through user personas, start to create segmented email lists. This will take trial and error, and some experimentation to start. Keep an eye on how each group responds to your campaigns and tweak the groups as needed. The more specific your email lists become, the more successful your campaigns will become as well. Feel free to get creative based on the unique knowledge you have about your audience. 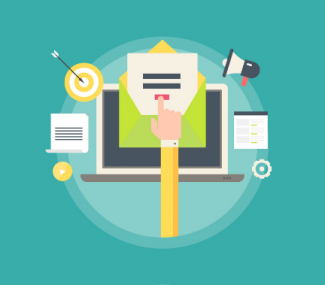 How should you design your segmented email templates?